Welcome to my webisite and I invite you to come see for yourself what is so special about Virginia's Eastern Shore. I have lived on the Eastern Shore my entire life and have been in the real estate industry since 2002. I have surrounded myself with the people, education and tools to know the market well. 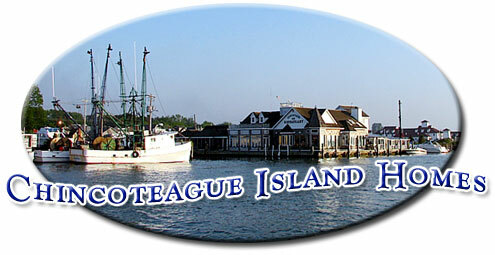 I am the Principal Broker and a partner of Dockside Properties located on Chincoteague, VA. I have been a multi-million dollar producer consistantly throughout my career, even in the down markets. I am currently serving as the 2018 President for the Eastern Shore Association of Realtors. I am an Accredited Buyer Representative. What this means to you as a buyer is, I can represent your interest alone in the purchase of property. As a client it is important to have your own agent in the process, be it buyer or seller. Let my experience help you find the perfect real estate opportunity on the Eastern Shore of Virginia. Whether you are looking to purchase or sell waterfront or not, primary or second home, luxury home or vacation home, land or business opportunity- I can help you make your dreams a reality. The "My Account" feature of this website allows you to save your favorite listings, save your favorite searches to come back to later. Creating an account is quick and easy, and best of all, it is FREE!Set up an Auto Home Finder Search- By setting up the auto home finder, you will receive emails of new listings based on what you are searching for. Be on top current market trends on the Eastern Shore of Virginia. Listings show in real time.